Samsung has recently posted two new videos via their Samsung Display Youtube channel showing us new AMOLED’s. With this Smartphone enthusiastic are excited and murmuring things. Two videos by Samsung has been posted, one of Jan 10 and another on 12th Jan. The commercial renders smartphone at the end which doesn’t have Home-button. Other than that it just shows up the features of features of new AMOLED like more power saving, true colors and lesser power consumption. Here we are going to talk more on possibilities for upcoming Galaxy S8 flagship. Remember few days ahead we have posted that Samsung may discard Home-buttons from Galaxy S8. If not, with this video its pretty clear that next Galaxy Flagship will not have home-button anymore. After these video its quite clear that Samsung is moving with innovations. And this is right time to raise Galaxy Series to next level. 1 Which Smartphone is going to have new Samsung AMOLED display? Which Smartphone is going to have new Samsung AMOLED display? Well, as per the now we all know that new Galaxy A3, Galaxy A5 and Galaxy A7 (2017) version are out at CES. So, Samsung is only left with Galaxy S8 and Galaxy Note 8 flagships to come this year which can be best contender to have this display. However there might be a twist in future, as we all know Samsung Galaxy S8 has a bit delay in launch due to testing and will release in April. This means Samsung may not have any big deal to offer at MWC 2017, but wait!!. Can it be Galaxy A9 (2017)? Most probably, Samsung may put these new AMOLED’s in new Galaxy A9 and will announce it at MWC. 1. True Colors: The new AMOLED display will offers better color, more saturation and wide-angle view. 2. Less Power Consumption: It will take pretty less power consumption to operate and will surely add 30-40% more battery life to your battery life. 3. Ultra Thin: The new Samsung AMOLED’s will be almost 50% thinner than its previous generations. So, it will gradually make your smartphone slimmer and help in better design. 4. Self-luminous display: It will offer best pictures you have ever seen in a smartphone. 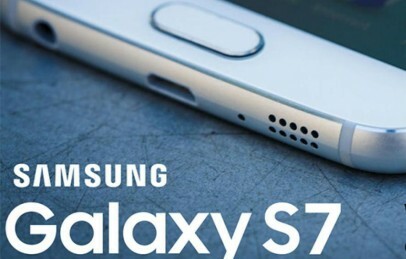 However Samsung has not made any official statement for its next smartphones that will boast new AMOLED. But its quite predictable now that Galaxy S8 will surely have it. For more details and updates on these new Samsung AMOLED displays stay tuned with us. If you have query for the above you can leave a comment below and before going to anywhere make sure to like & share us from below social buttons.